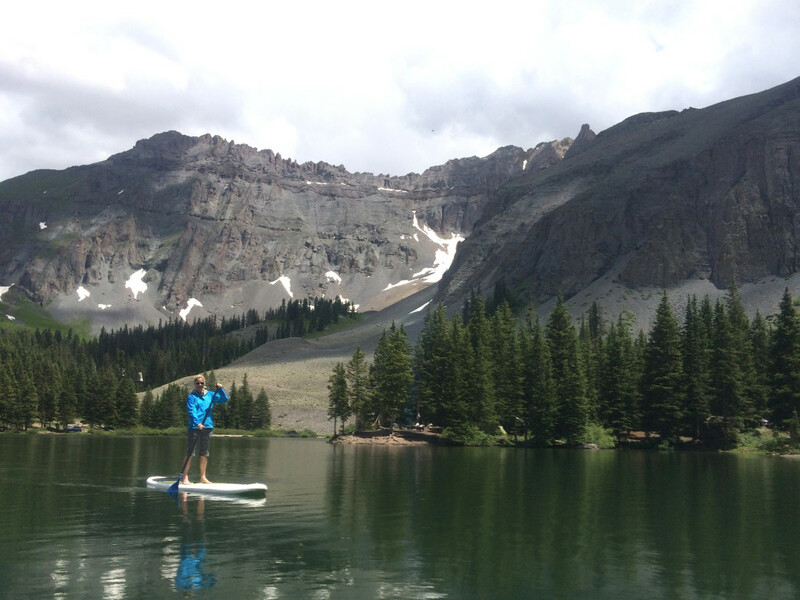 Given the challenges of mountain weather and terrain, paddleboarding on alpine lakes takes a little extra prep—particularly if you hoof it to get there. 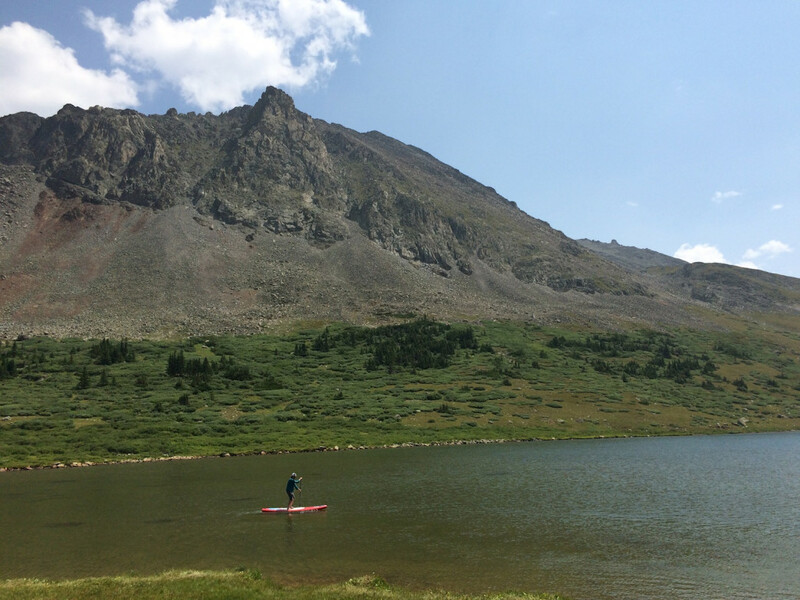 Here, insider tips to help you get high on alpine SUP in Colorado. Check the weather forecast and be prepared for conditions to change on a dime. When you’re on an alpine lake surrounded by hills, you might not see storms rolling in—and they can kick up quickly. If a thunderstorm hits, make a beeline for shore. You don’t want to be caught on the water when lightening strikes. Plan your paddling for morning since afternoons are more prone to storms. 3. Pick a foot-friendly trail. Not all trails are created equal when you’re hauling a heavy board on your back. Limit your load (ounces make pounds and pounds make pain) and pick a trail that’s suitable for slogging. 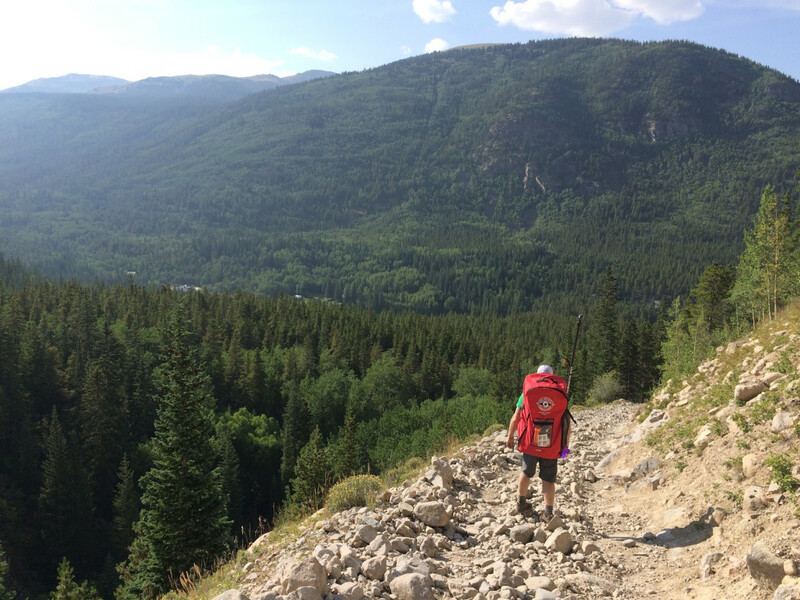 Start easy and scale back your normal hiking distances until you know your limits. Also study elevation gain and avoid steep trails. Trekking for three miles with a paddleboard on your back is a lot harder than hiking load-free. Also consider trail surface. A cobbly trail designed with dune buggies or dirt bikes in mind might not be the best choice. Look for gentle trails that are friendly on feet and ankles. Fed by snowmelt, Colorado lakes are frigid, even late in the summer. Falling in can be a freezing shock. Choose quick-drying, water-wicking fabrics (avoid cotton) and bring extra clothes so you can change if you get wet. And—we'll say it again—always wear a PFD in remote, chilly waters. Hike in sturdy shoes, and bring flip flops or water shoes to take out on the water. Even if you paddle barefoot, it’s a good idea to strap a pair of shoes to the front of your board so you can walk on shore without hurting your feet. Emergency landings are sometimes necessary in a pinch. 5. Tread lightly on shore. Alpine vegetation doesn’t take well to trampling. 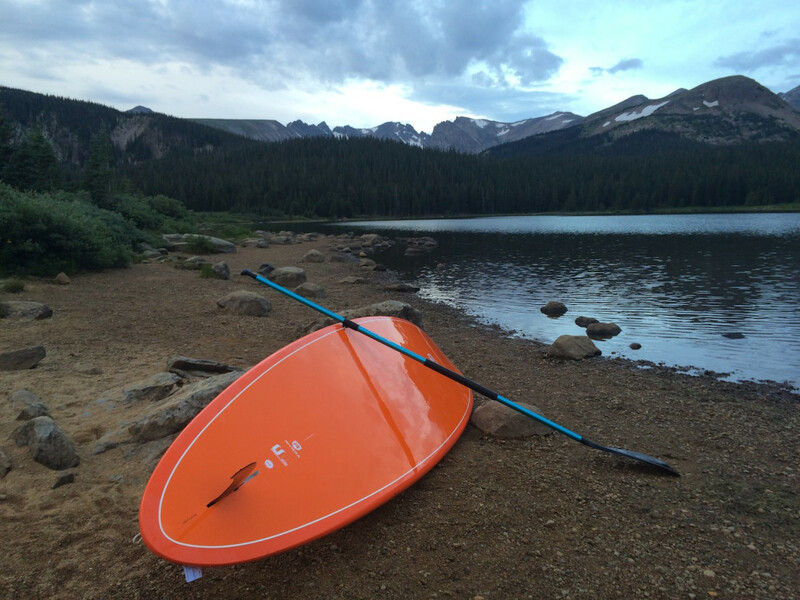 Scout the lake edge for a suitable entry with enough flat area to inflate your board. Avoid muddy areas and find a launching spot where you won’t damage sensitive plants. Wind is not your friend when it comes to SUP. A placid pool can quickly transform into a white-capped cauldron, putting your paddling skills to the test. Be prepared for schizophrenic gusts. Mountainous terrain stirs up airflow, making wind swirly around alpine lakes. Keep an eye out for squalls; you can sometimes see them moving toward you as they disturb the surface of the water. Even if you start into the wind, don’t count on it being at your back on the return. Conditions often change. 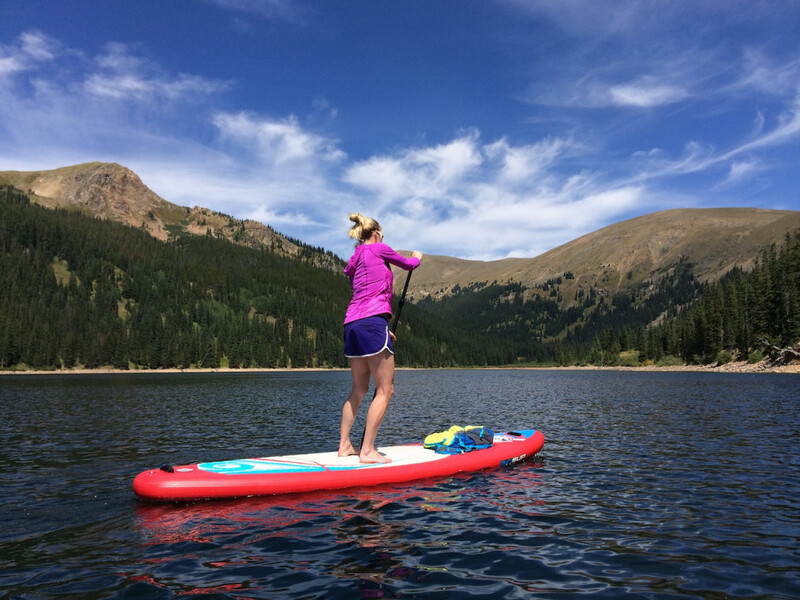 If headwinds are making it tough to make headway, drop to your knees while paddling. If you’re still struggling, crouch forward to streamline your body as much as possible. Get close to the shoreline, which offers more protection from the wind. 7. Keep an eye on the bottom. It can be challenging to gauge an alpine lake’s depth. One moment you might be paddling along peacefully, and then you hit shallow waters (and, perhaps, take a chilly dip if your fin hits the bottom and you lose your balance). To avoid getting stuck in the muck, paddle slowly, avoid areas where plants grow, and keep an eye below the water surface in front of you. Polarized sunglasses will help you spot underwater obstacles like rocks before it’s too late. 8. Don’t forget the beer. Sure, you want to limit the weight of your pack, but that doesn’t preclude bringing beer. Empty cans will be light on the way down, after all, and there’s nothing like tipping back a cold one after exploring an alpine lake like a pioneer. For extra credit, submerge your brews in the water before paddling so they’re perfectly chilled and ready to pop when you return to shore. Just be aware of the alcohol regulations of wherever you're headed, as some places don't allow it.